Helicobacter pylori (Hp) inhabits the stomach of > 50% of humans and has been established as a major etiological factor in the pathogenesis of chronic gastritis, gastric atrophy, peptic ulcer disease, gastric adenocarcinoma, and gastric mucosa-associated lymphoid tissue lymphoma. The aim of this study was to provide unequivocal information about Hp-associated gastritis grading according to the Sydney grading system and to compare the histopathological features with the endoscopic findings and anti-Hp immunoglobulin (Ig)G serological status. This analytical study was conducted on 157 patients with dyspeptic gastritis. All patients underwent esophagogastroduodenoscopy, and antrum and corpus biopsies were taken. Blood samples were obtained from all participants. 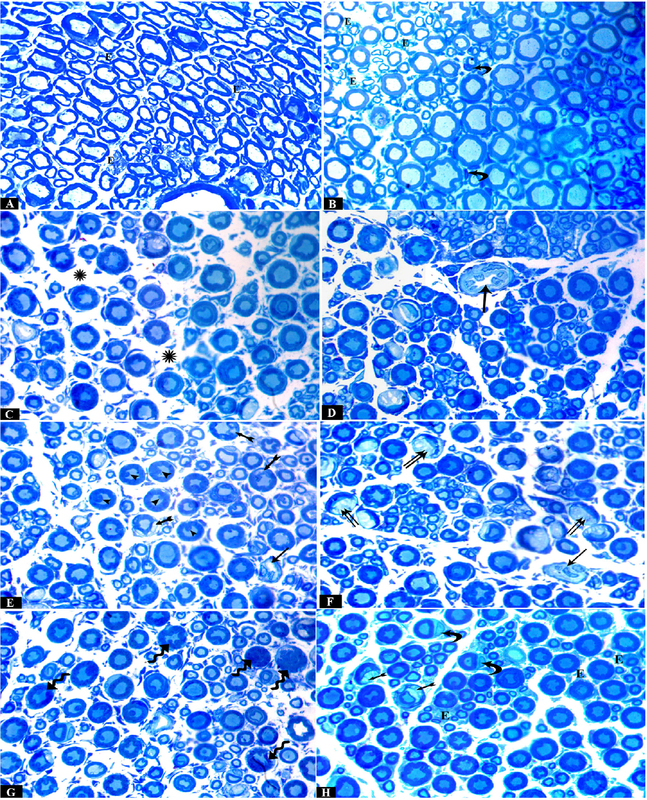 Different stains were performed on formalin-fixed, paraffin-embedded tissue blocks that included hematoxylin and eosin and Giemsa stain for histopathological interpretation. The endoscopic findings of gastritis were observed in 120 patients and most of them showed hyperemia (80 patients), whereas seven patients had normal appearing gastric mucosa. Histologically variable numbers of mononuclear inflammatory cellular infiltrates were seen in 150 cases (95.5%). Most of them showed Grade 1 gastritis (80 patients), whereas Grades 2 and 3 were found in 43 and 27 biopsies, respectively. Hp colonization was observed in most of the examined biopsies (93.7%). Hp-IgG seropositivity was found in 80.9% of cases and 19.1% were seronegative. The relationship between endoscopic and histological findings was significant (p < 0.001). Aspartame is the most widely used artificial sweetener worldwide. There is much controversy about the effect of aspartame on different cells in the body. The aim of this study was to evaluate the effect of aspartame on the structure of the sciatic nerve. Thirty adult male albino rats were divided into three groups. Group I served as control; Group II received aspartame orally in a dose of 250 mg/kg/d for 3 months; Group III received aspartame at the same dose and for the same period, and was allowed to recover for 1 month. Specimens of sciatic nerve were processed, and semithin and ultrathin sections were examined by light and electron microscopy. A morphometric study was done to evaluate the g-ratio, which is the ratio between the axon diameter and total fiber diameter. Long-term aspartame administration resulted in many degenerative changes affecting mainly the myelin sheath, in the form of focal and extensive demyelination; disruption and splitting of myelin lamellae with loss of compact lamellar structure; and excessive enfolding with irregular thickening of myelin sheaths. Less frequent than those observed in the myelin sheath, some axonal changes were detected, such as compression and distortion. Dilated rough endoplasmic reticulum and vacuolation of the cytoplasm of Schwann cells were also detected. Partial improvement was observed in the recovery group. It was concluded that long-term administration of aspartame had a harmful effect on the structure of sciatic nerve and 1 month stoppage of aspartame was not enough to achieve complete recovery. Macrochlamys indica is a hermaphrodite terrestrial pulmonate mollusk. Transmission electron microscope studies were done on the ovotestis of young and adult (older) M. indica which are elaborated in this paper. The ovotestis contains numerous lobes each of which contains many ovoid shaped acini which are occupied by stages of spermatogenesis and a single oocyte. In younger snails, the acini contain stages of developing spermatogenesis, whereas each acinus of older snails is composed of single large oocyte and few stags of spermatogenesis. The number of Sertoli cells is high in the acini of younger snails than in older snails. Details of the cellular organization of the Sertoli cell are described. Some long thin threads extend from the acinar boundary to acinar lumen. The anterior end of these threads is either free or directly connected to the developing cells of spermatogenesis. There are two types of cells in the interacinar space of the ovotestis in both younger and older snails. One cell is small oval interstitial cell and other is thin elongated periacinar cell. 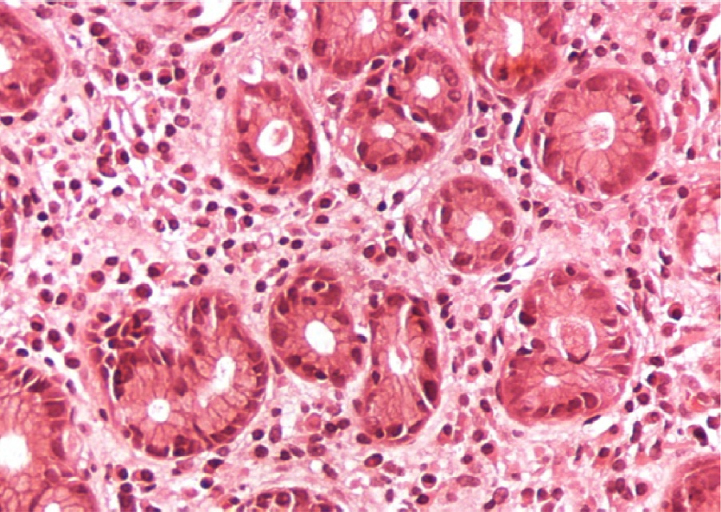 The acinar boundary contains secretory cells with deeply stained nucleus. In the acinus of older snails, the Sertoli cells do not form any barrier between oocyte and spermatogenic cells. Functions of the periacinar cell and interacinar cell are discussed. It is found that the spermatogenesis is highly active in younger snails with single dormant oocyte while process of oogenesis predominates in the older snails. The reproductive strategy of this pulmonate species thus depends on the individual's body size and their maturity. Background/aim: Ulcerative colitis (UC) patients are at increased risk for colorectal carcinoma (CRC). It is suggested that cyclooxygenase-2 (COX-2) plays a role in sporadic CRC. The p53 gene is a tumor-suppressor gene and the most frequent site of genetic alteration found in human cancer. The aim of this study was to analyze the immunoexpression of proinflammatory enzyme COX-2 and p53 in UC, UC-associated dysplasia, and CRC, in comparison with each other and with different clinical and histopathological parameters, to clarify if they have a possible role in the pathogenesis of CRC in UC patients. Materials and methods: In this cross-sectional study, 98 patients were divided into three groups: 39 patients with UC without dysplasia, 32 patients with UC with dysplasia, and 27 patients with colorectal cancer on top of UC, in addition to 10 healthy controls. All patients underwent colonoscopy, and multiple biopsies were taken for histopathological and COX-2 and p53 immunohistochemical studies. Results: There was significant difference in the expression of COX-2 and p53 in UC-related dysplasia either without or with CRC, compared with their expression in the UC group without dysplasia. 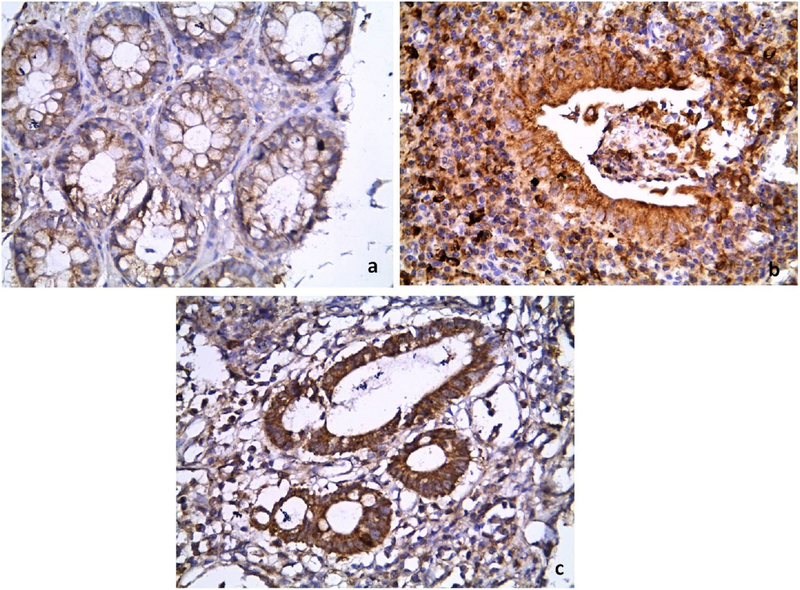 Conclusion: Adding immunohistochemical analysis of COX-2 enzyme and p53 gene to routine histological assessment may improve the accuracy of early detection of dysplasia and colorectal cancer. COX-2 and p53 can be promising chemotherapeutic/chemopreventive targets in UC patients. A vast diversity of microbes including macrofungi remain untapped for valuable bioactivities including antimicrobial activity. Searching wild sources may bring novel natural products with antimicrobial properties that can provide protection against infectious diseases. The present study was designed to identify the diverse forms of mushrooms being used as an ethnomycological source of food and medicine by the tribes of Meghalaya, India, and microscopically study the structures of mushrooms along with observing their antimicrobial effects on pathogens. Fruiting bodies of mushrooms were viewed morphologically and microscopically, and were identified using molecular markers. 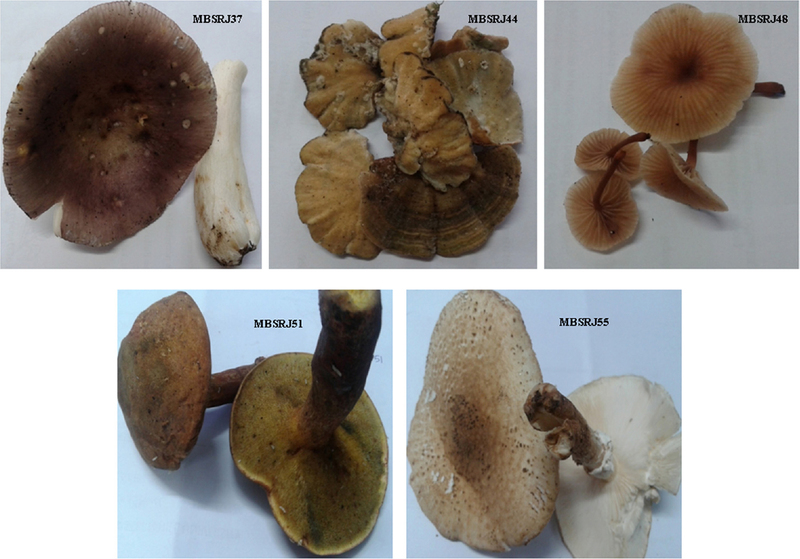 The dried aerial parts of the fruiting bodies were extracted with methanol and screened for their antimicrobial activity using 2,3,-triphenyl tetrazolium chloride against two Gram-negative and two Gram-positive bacteria. The average diameter of the inhibitory zone induced by fungal extracts ranged from 9 mm to 22 mm for Gram-negative and from 16 mm to 24 mm for Gram-positive bacteria, indicating that this dietary source is a good antimicrobial agent. Mushroom structures were examined using optical microscopy, while the deformities on the pathogens inflicted by mushroom extracts were visualized using scanning electron microscopy, which showed accumulation and formation of biofilm in Gram-positive and shrinkage with cavity formation in Gram-negative bacteria. 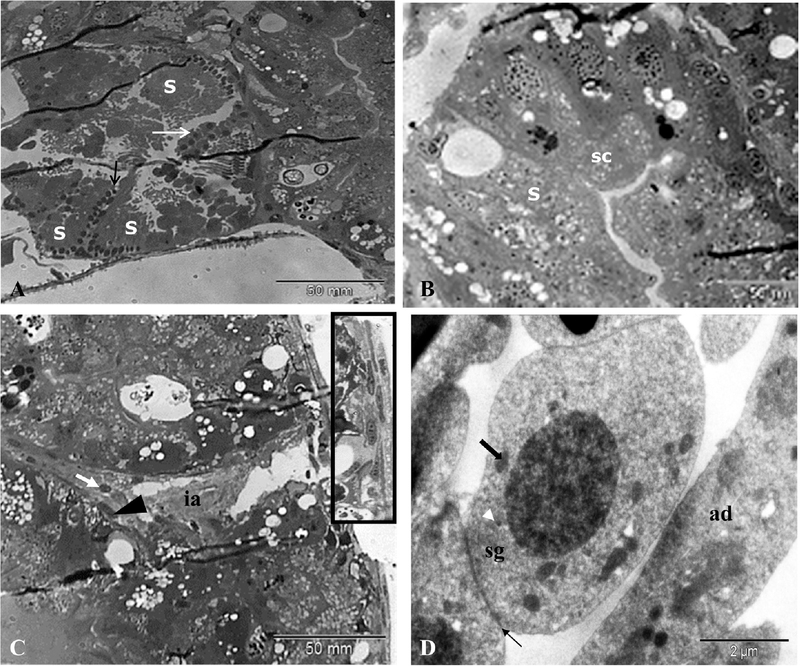 The bioaccumulation of heavy metals and its probable cytological consequences in ciliated olfactory sensory receptor neuron (OSN) of two different groups of Pseudapocryptes lanceolatus has been studied using X-ray microanalysis in transmission electron microscopy (TEM-EDX) [i.e., Group I, collected near Kanchrapara (22.56°N 88.26°E) and Group II, collected near Tribeni (22.99°N 88.40°E) of West Bengal, India]. The ciliated OSN is a bipolar neuron and possesses a prolonged dendron with four to six cilia at the olfactory knob, perikaryon, and axon. Excess accumulation of copper (94.50%) and iron (83.81%) was noted under TEM-EDX in the cytoplasm of the olfactory knob as well as nucleoplasm of ciliated OSNs in P. lanceolatus (Group II). The degenerating ciliated OSNs show distinct features of lysis of the plasma membrane at the olfactory knob, disintegration of cytoskeletal structures in perinuclear cytoplasm and axoplasm, and fragmented chromatin fibers with granules (diameter, 20–30 nm) in the nucleoplasm. Crowding of acetylcholinesterase-positive vesicles (diameter:, 30–40 nm) at the terminal part of the axoplasm was related to accumulation of heavy metals in degenerating ciliated OSNs of P. lanceolatus (Group II). 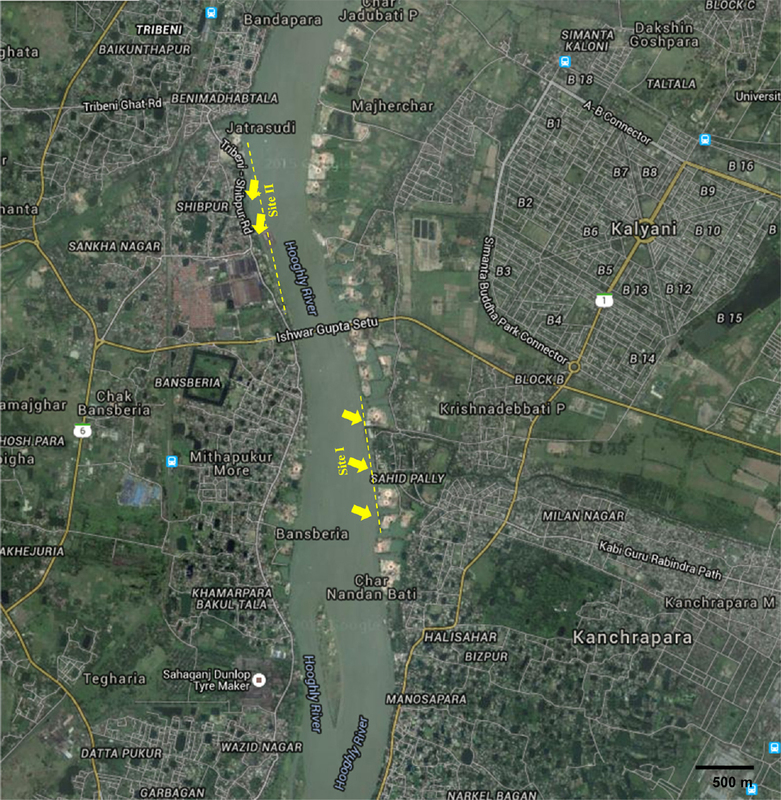 The recorded concentrations of heavy metals in the same organ among different groups of P. lanceolatus in varying geographical areas indicates the stress of concerned environmental health. This ultrastructural interpretation on the fish ciliated OSN is a prerequisite for monitoring environmental health as well as metallobiology of several neurodegenerative disorders in fish caused by bioaccumulation of heavy metals. There is an evident difference in the intensity of morbidity caused by Schistosoma haematobium in North-African zones compared to Sub-Saharan ones. Clinical outcome dichotomy corresponds to two geographically distinct intermediate host snail species that are only infected by the related strain of the parasite. In concert, there is a manifest hybridization of the parasite with other Schistosoma species confined to certain regions of Africa. This raises a reasonable suggestion that S. haematobium has no less than two phylogenetic clusters that have different virulence. The aim of the study was to examine the possible diversity among S. haematobium using simultaneous amplification of genomic DNA of selected isolates. Random amplified polymorphic DNA-polymerase chain reaction markers were used to study the genetic diversity among S. haematobium natural isolates from selected regions of Africa (Egypt, Zimbabwe, and South Africa) that represent different ecological conditions, different species of intermediate host, and different possibilities of field hybridization with other schistosomes. A moderate to high level of genetic diversity was evident among the three isolates. More bands were shared by the isolates from Zimbabwe and South Africa (similarity index = 0.721) than those shared by each with the Egyptian isolate (similarity index = 0.551 and 0.566, respectively), suggesting that at least two phylogenetic groups of S. haematobium do exist in distinct geographic regions of Africa. The elucidation of the possible genetic diversity among S. haematobium parasites may explain many ambiguous aspects of the biology of the parasite-like virulence, immune evasion and drug resistance.